Princes Town MP Barry Padarath. PRINCES Town MP Barry Padarath has asked why there was no urgency by Government on legislation to treat with refugees and asylum seekers. He was speaking during the question and answer session in the House yesterday. He had posed the question to the Minister of National Security on the expected completion date of the policy framework on refugees and the time frame for the introduction of legislation in Parliament to give effect to the policy. Acting National Security Minister Edmund Dillon said there was no definite completion date regarding the policy. He said the National Security Ministry, Ministry of the Attorney General and Legal Affairs, the Health Ministry, Finance Ministry and local and international partners are all involved in extensive consultations towards completing the policy. He added the Ministry of the Attorney General leads the legislative agenda on this matter and the time frame for introduction of legislation to give effect to the policy is inter-related and inter-connected to the multi-sectoral consultations. Padarath asked: “Is it true to say there is no urgency coming from the Government in light of there is no expected completion date on the policy far less the legislation? It is not being treated with any sense of urgency.” Dillon responded it was not true to say that and the process takes time. 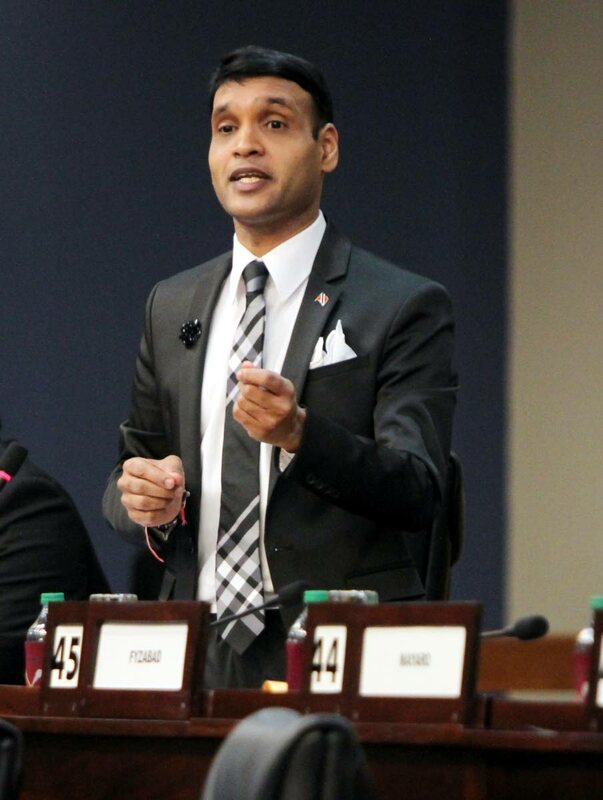 Padarath also asked, given concerns raised by international organisations on Attorney General Faris Al-Rawi’s interpretation of the legality of treaties related to the treatment of refugees, whether the AG had communicated with international organisations on TT’s position on the matter. Al-Rawi said he had not received any formal communication from any international organisation. He reiterated the 1951 Convention on status of refugees and 1967 Protocol have not been ratified and were therefore not in a position to introduce domestic law. Padarath asked what were the measures to deal with the ratification as a matter of urgency. Al-Rawi said the data has to be captured and there was a question about how many people are to come into the system, how long they would stay and how many would go out. He added there were issues of priority housing, education and medical treatment to refugees and asylum seekers. Reply to "Padarath: Why no Govt urgency on refugees?"